January 22nd, 2019, Taipei, Taiwan – AOPEN, a proud member of the ACER Group, is proud to announce a new line of AI enabled visual computing solutions, aimed at enabling rapid and seamless deployment of edge-computing solutions. With the rapid acceptance of devices performing edge-computing tasks (IDC expects 25% of all endpoint devices will execute AI algorithms), AOPEN has created several levels of devices aimed at the most common edge-computing tasks in the next decade. Furthermore, as per this Forbes article, 40% of all organizations’ cloud deployment will include edge computing in 2022 increasing the demand for dedicated and enabled devices. NVIDIA, AOPEN’s graphics partner for the DEV7610 & DEV8430, has estimated that their revenue for 2018 would reach US$ 3 Billion, This shows visual computing engines are part of a market that shows massive growth. Based on leading machine learning processors from Intel and NVIDIA, AOPEN’s edge-computers are used in various functions with maximum performance. In industrial control, it does not only verify product quality but also if machine operators are adhering to safety standards and regulations. AOPEN products are also used for advanced (facial) recognition tasks at military bases by some of the largest militaries in the world. AOPEN has vast experience in various scenarios like smart retail, smart surveillance, and smart manufacturing, and is confident to realize robust AI applications with matching hardware through algorithm testing with hardware performance benchmarks. With backing by the ACER group, AOPEN’s strongest point is the integration of service and support in the entire implementation chain. With strong cooperation with Amazon, Google, and Microsoft, a healthy and reliable cloud component serves as a reliable base for implementation, and AOPEN is finalizing its certifications for their respective cloud platforms. AOPEN oversees consulting, design and customization processes to ensure successful projects completion. During the NRF show in New York (January 13-15), AOPEN demonstrated its machine learning solution. One of AOPEN’s solutions assists both retailers and shoppers by identifying a bag of self-served nuts placed on a scale. It uses two cameras and AI to identify the nuts (color, size, shape, and weight) as well as checking which nuts are actually available in the store to create a pricing label. The solution is cloud-connected as it is trained in cloud solutions but can run its inferencing offline. AOPEN Machine Learning solutions are already helping retailers across the globe to deliver high quality, whether it is identifying if a piece of chicken is perfectly fried, or if a label is applied properly to a bottle of wine. For a hands-on demonstration of AOPEN’s machine learning solution, visit Integrated Systems Europe (ISE) 2019, from February 5th to February 8th in Amsterdam. The DEV5400 is a compact (0.7L) computing engine device designed for 24/7 use. It’s configured for visual computing tasks. The built-in Intel® Movidius™ AI accelerator can rapidly and accurately process data from high frame rate or high-density cameras. 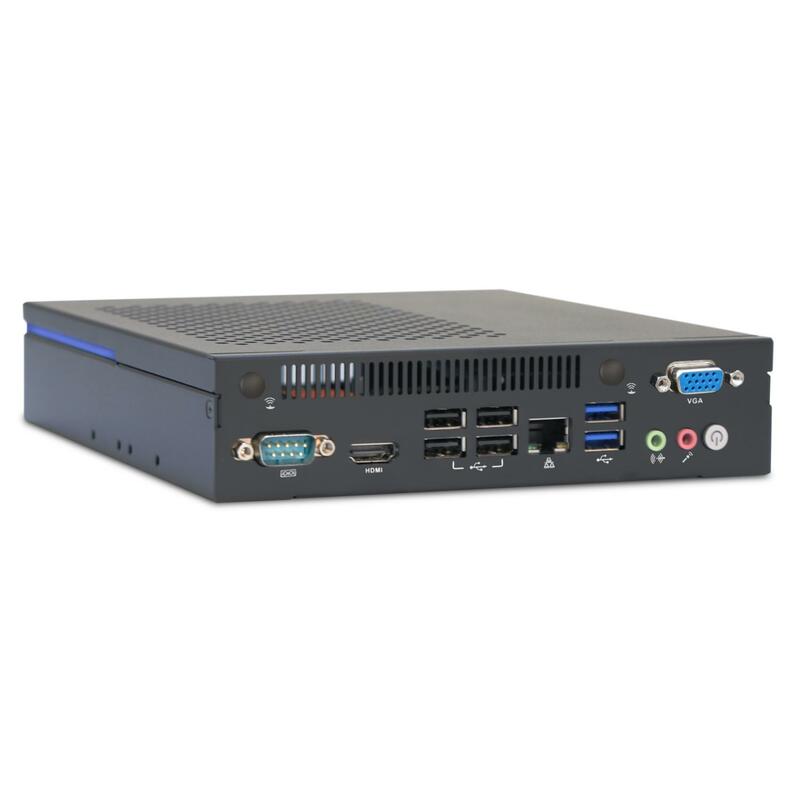 The DEV5400 is suited for implementation in retail, government, and industrial environments. The DEV5400 supports the OpenVINO toolkit and deployments can run optimized inferencing codes for Intel® CPU and MovidiusTM VPU straight out of the box. The DEV7610 is a high-performance visual computing engine supported by NVIDIA® Graphics. The DEV7610 is designed to perform high-end AI tasks and process high-performance (facial) recognition. The DEV7610 combines an 8th Generation Intel® Core processor with Intel® Optane™ technology and an NVIDIA® GeForce® GTX 1050 Ti in a chassis that is barely 2 inches high. The DEV7610 is perfect for implementation in almost any environment. Its high 3D performance makes the DEV7610 excellent for visual tasks where it can be an extension of its (3D) Digital Signage performance.The DEV7610 is a high-performance visual computing engine supported by NVIDIA® Graphics. The DEV7610 is designed to perform high-end AI tasks and process high-performance (facial) recognition. The DEV7610 combines an 8th Generation Intel® Core processor with Intel® Optane™ technology and an NVIDIA® GeForce® GTX 1050 Ti in a chassis that is barely 2 inches high. The DEV7610 is perfect for implementation in almost any environment. Its high 3D performance makes the DEV7610 excellent for visual tasks where it can be an extension of its (3D) Digital Signage performance. 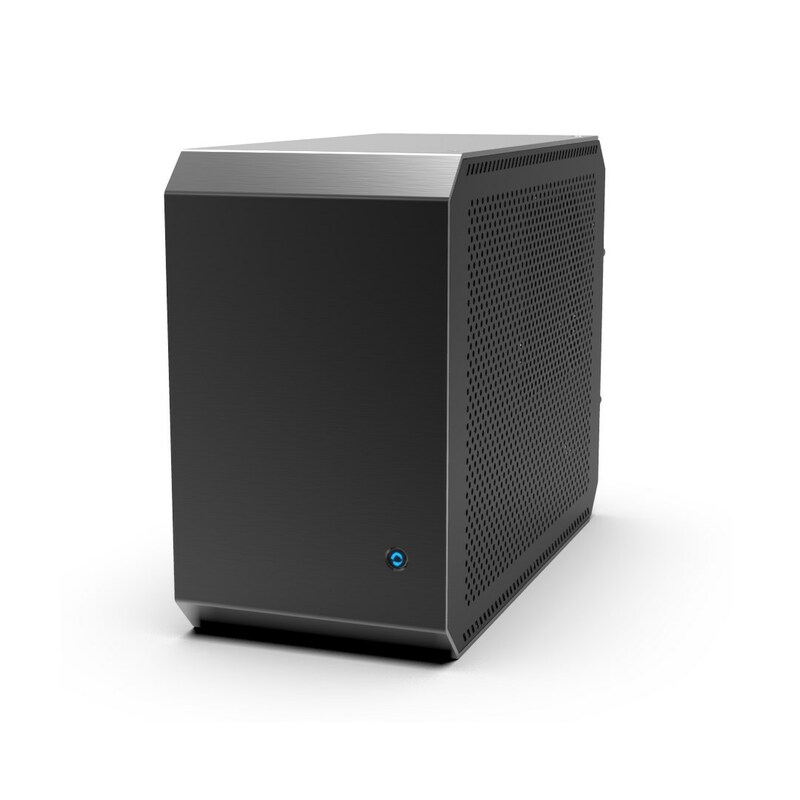 With the DEV8430, AOPEN has created a high-performance workstation that is used for training, deep learning and inferencing. 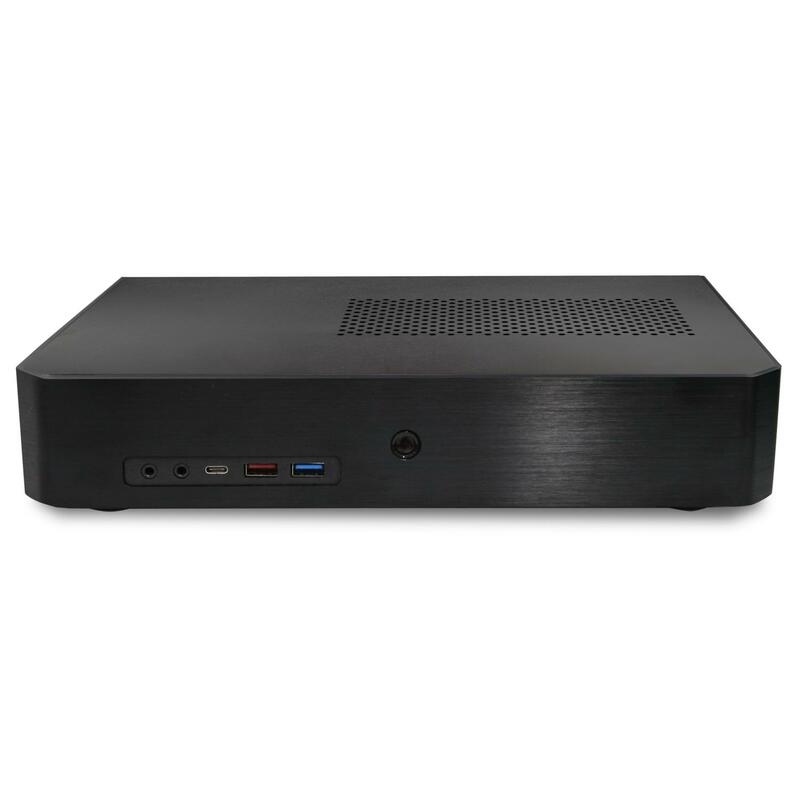 Because of its design, the DEV8430 is used as a desktop workstation and it’s capable of running demanding tasks with the power of an Intel® Core processor and a full range of NVIDIA® GeForce® RTX card, as well as the Tesla® P4 and T4 cards. With support for multiple HD cameras, a single DEV8430 can run several high-level tasks simultaneously. With a robust aluminium case for excellent thermal performance, the DEV8430 is ready for operation in any environment. The DEV8430 will be available in Q2 2019. AOPEN was founded in 1996 in Taiwan as a component manufacturer. Over a period of 20 years, AOPEN developed from a component manufacturer to a small form factor computing device manufacturer. The changes in the computing device market were seen as an opportunity for our small form factor computing devices to penetrate an ever growing and exciting market. We now operate in more than 100 countries worldwide, and our products are applied in a multitude of scenarios with a vision of penetrating more. To continue our growth, we intend to maintain our values of an open environment and share our knowledge with our channel partners to uphold our quality standards. Discover AOPEN's innovative digital signage solutions at www.aopen.com.